While seeking a street address for the Laguna Gloria Art Museum for a travel blog on Austin I'm putting together (just what I need: another blog! 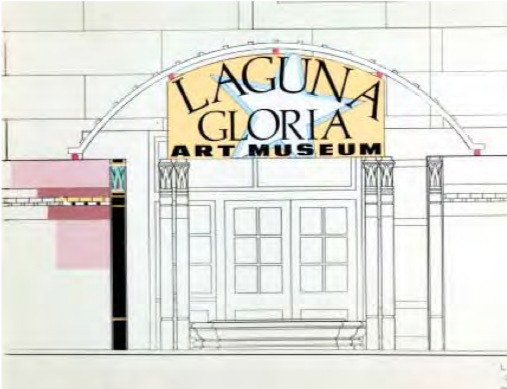 ), I happened across a letter-to-the-editor of the New York Times in 1991 concerning a missed architectural opportunity for Austin: a Robert Venturi design for the Laguna Gloria Art Museum! Austin shamefully missed out on a Hertzog and de Meuron design for the Blanton, but I wasn't aware of the one involving the Post-Modern pioneer, Venturi. The letter-to-the-editor lists out the issues and concerns that led to the project's demise (which occurred just before we moved to town), but "Wow!" 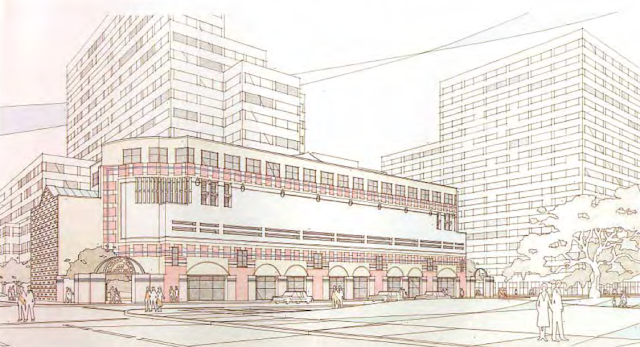 I am by no means a fan of Post-Modern (and this design is, by my eyes, ho-hum), but a pink Venturi would have been a spirited addition to the urban fabric of downtown.